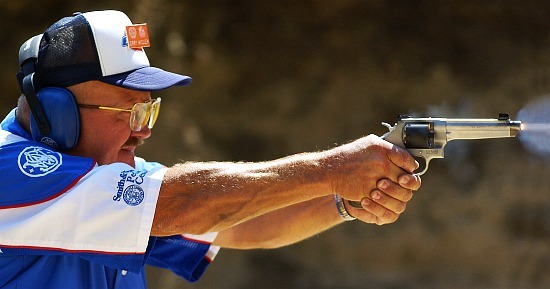 Jerry Miculek once again stood atop the leader board, capturing both the Overall and Open Division titles at the International Revolver Championship (IRC) at the Hogue Action Pistol Range in Morro Bay, California. With his recent win, Jerry has accomplished an unprecedented feat by capturing his 17th IRC championship title while extending his record winning streak of back-to-back title victories since competing in the 1993 IRC match. Using an 8-shot S&W Performance Center Model 627 V-Comp, Miculek was able to post top scores in 10 out of the 12 stages of fire, allowing him to easily capture the championship title by over 26 seconds. 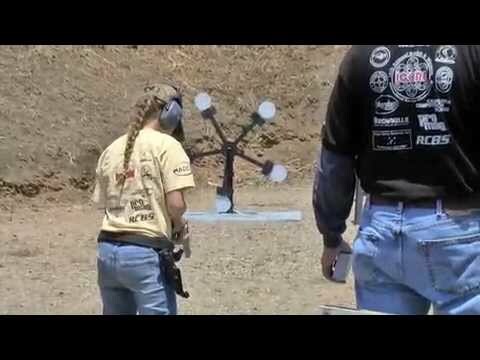 Miculek competing earlier this year at the Steel Challenge. Photo Courtesy SteelChallenge.com. Team Smith & Wesson members earned six division titles. The IRC match was highlighted by wins from Jerry Miculek, new team member John Bagakis, Craig Buckland, Annette Aysen, Elliot Aysen and Team Captain, Julie Golob. In the Limited Division, Team Smith & Wesson members swept the top two spots with John Bagakis edging out teammate Elliot Aysen for the division title. Aysen went on to win the High Senior title. In the Women’s Limited Division, Annette Aysen decisively defended her Ladies Limited title by over 11 seconds. 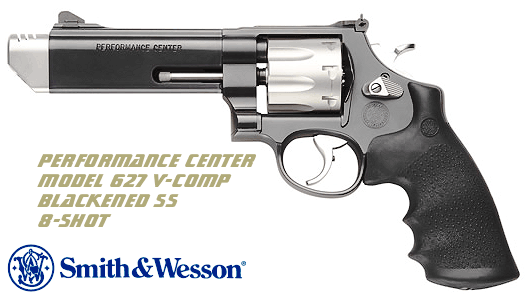 Each of the winners in the Limited Division used an 8-shot Performance Center Model 627. Share the post "Miculek Does It Again — Winning IRC Title for 17th Time"